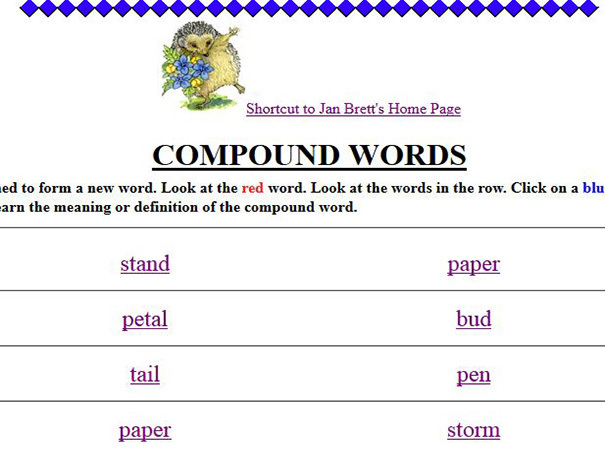 A compound word is made when two words are joined to form a new word. Look at the red word. Look at the words in the row. Click on a blue word to make a compound word. There may be more than one correct answer.